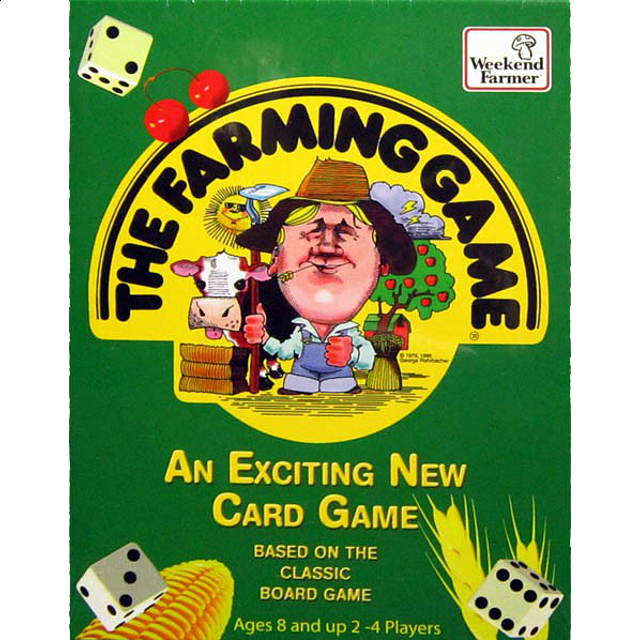 FARMING GAME CARD VERSION is an adaptation of the International Award Winning board game, The Farming Game. This card game is a fast paced introduction to the world of farming. Along with its portability you will find you can start a farm nearly anywhere you are. Buy your crops, invest in your farm, and hope the market holds up so you can sell your harvest at a profit. Get ready for a fun new farming experience.